As I mentioned in my “Texas Travel Diary; Week 2” post (read it here), I spent my last weekend in Texas at the Rockport beach. I had an amazing time in Rockport, as I always have since I began going as an infant. One of my family’s favorite restaurants in Rockport is right next to a beautiful dock, so while we were out at dinner there our first night I shot today’s blog post! It’s no secret that off the shoulder pieces have been seriously on trend this year (read my “Trend Tracking” post on off the shoulder pieces here), and I’m loving it! I picked up this simple navy off the shoulder top on sale at Banana Republic (sadly this one is no longer available but I linked a similar top below!) over winter break and I’m so glad I’ve had the chance to pull it out a few times this summer. I paired it with my favorite denim button front skirt from Forever 21 and some classic gold Jack Rogers sandals for a simple look that would be easy to accessorize. I’d been saving this adorable blue bead and shell choker from E Squared for a beach trip and I was so happy to wear it! I love the extra pop of blue it adds to the look and I think it’s just absolutely adorable. Be sure to check out E Squared here for more cute jewelry! Aside from the choker I wore mostly simple white and gold jewelry including my favorite Kendra Scott Danielle earrings, a couple Sashka Co. bracelets, a gold Kate Spade watch, a gold MantraBand, my Giving Key bangle, my silver cross cuff from Stella & Dot, and a thin rose gold ring. Enjoy! I pre-wrote this post about a week before Hurricane Harvey hit Rockport, and it just doesn’t feel right to upload this outfit post without mentioning the disaster. I was so incredibly blessed to have the opportunity to visit Rockport this year just weeks before the small town was hit by the hurricane (see a couple pictures below). I know that despite reconstruction efforts, the town will never be exactly the way my family remembers it. My mother has been going to the Rockport beach since she was a child and seeing pictures of the destruction absolutely breaks her heart. Please pray for Rockport as they begin to rebuild! 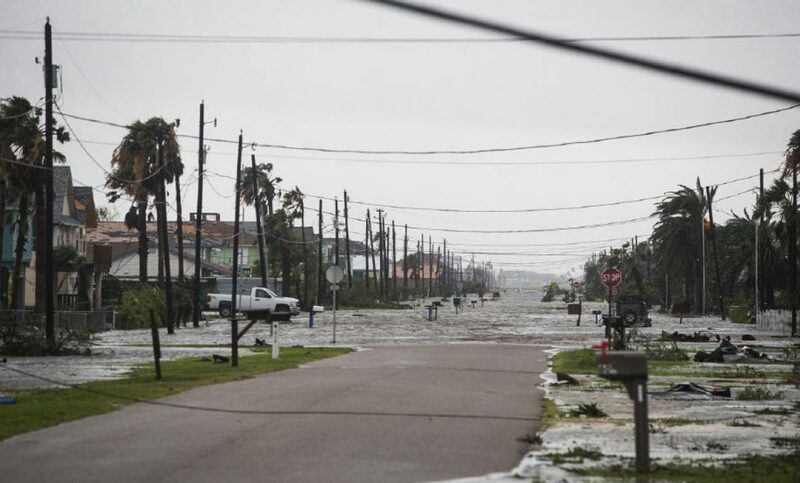 If you’re interested in aiding Rockport, TX in their restoration process, you can find the town’s GoFundMe page here. It would mean the world to me if you’d make a donation! If not, I’d like to reiterate that prayers are also definitely needed. The citizens of Rockport are some of the sweetest people I’ve ever met and my heart is breaking for them knowing how much they’ve lost due to initial hurricane damage and flooding. The choker from E Squared as well as the beaded bracelets from Sashka Co. featured in this post were sent to me in exchange for a feature in my blog. However, all opinions are honest and my own. I don’t feature products I don’t truly love!